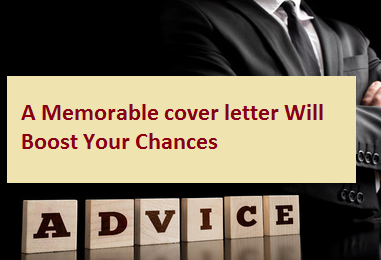 In this article 'a memorable cover letter will boost your chances', you'll get more information and details help with your career knowledge, feel free to copy or share. What action needs to be taken next. Here, for instance, you might say that you will follow up and call within 10 days, instead of waiting for the employer to contact you.